For every happy, sunny, well tended blog out there, there are at least 100 haunted graveyard blogs that were quietly abandoned mid-thought by their distracted owners. This isn’t one of those. In fact, I’ve been champing at the bit to get this sucker going again, especially after all of my big talk in January’s post. Flu season. I caught every bug that came along, one on top of the other, in a relentless dogpile of gross symptoms that I thought I’d never crawl out from under. Seriously, I haven’t been so sick, for so long, in many, many years. Construction. As in, an office construction project for my hubby’s software company. I stepped in to help as the workload was getting overwhelming for him, and quickly discovered why everyone in the construction industry is constantly suing one another. The good news: it’s done, and it turned out awesome. And here we are. It’s spring already. Dammit. I’m way behind schedule. Time to get busy. 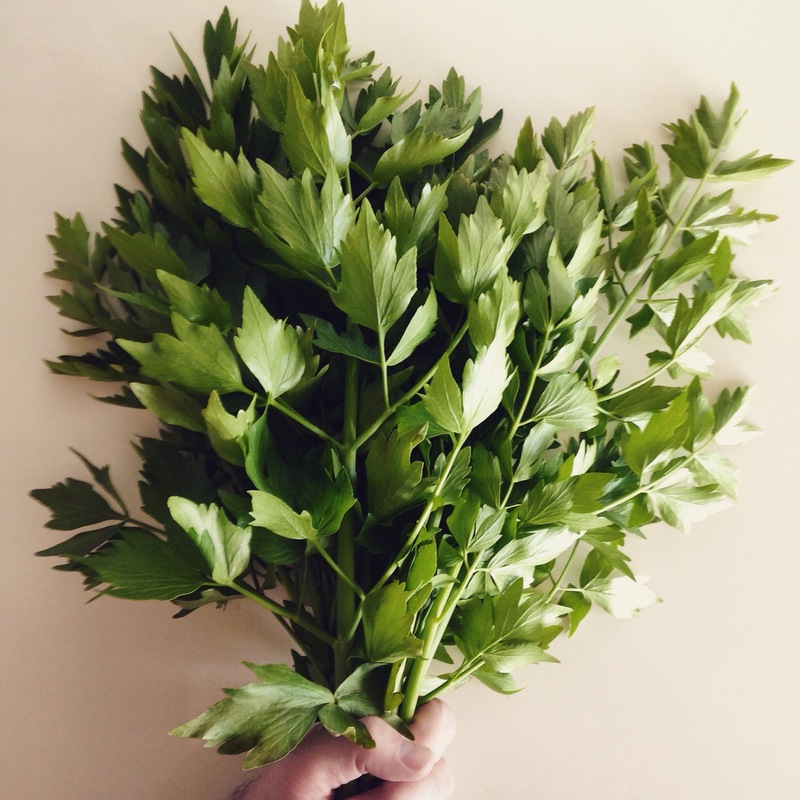 I defy winter and all it stands for with this fistful of lovage from my garden. Previous Previous post: The year is 2016. What’s Mr Dach gonna do about it? Next Next post: Quin Candy in Portland, Oregon is the real deal.